All funds raised will go to Erskin Butler, the organizer for F.A.I.T.H (aka) Feed And Innovate The Homeless. 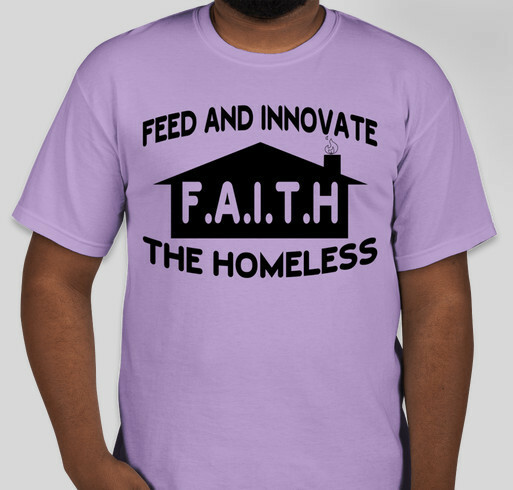 FEED AND INNOVATE THE HOMELESS,is a non-profit organization, sponsored by the Gospel Depot. Proceeds from this fundraiser will go to the purchasing of health-aid items for the making of Care-Packages that we'll distribute to the homeless families in our communities. Homelessness Does Not Discriminate! It affects all ages, races, ethnic groups, and religions. The 25th chapter of Matthew tells us how GOD feels about this subject. It reads, "For I was hungry and you gave me something to eat, I was thirsty and you gave me something to drink. Then the righteous will answer him, ‘Lord, when did we see you hungry and feed you, or thirsty and give you something to drink? The Lord will reply, ‘Truly I tell you, whatever you did for one of the least of these, you did for me." I invite you to show a little christian compassion and help someone who can do nothing for you. Allow the Lord to speak to your heart, and open your hand to give any gift, large or small, to help us towards our goal in feeding the homeless. Share Why You Support "F.A.I.T.H."